Lucknow, the capital of Uttar Pradesh, is one of those few places in the country which is known for its immaculate culture and history. Once the throne to the nawabs of Awadh, this historical city is guaranteed to enchant you with its perfect blend of history, modern lifestyle and food. 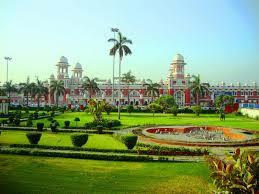 Know more about the tourist attractions in and around this city of Nawabs. 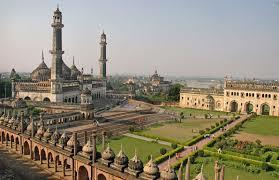 Even after an exceptional growth and budding economy, Lucknow successfully manages to showcase its old-world charm. Walk through the historical lanes of the city, and you’ll be bowled over by the captivating Lucknawi tehzeeb. This fascinating historical city and the surrounding regions like Varanasi, Kanpur, Allahabad etc., are known for their humongous variety of culture, food and history. The best part of touring the capital is that on any given day, you can take up a Lucknow to Varanasi train or a bus to Allahabad and have a wonderful time. Lucknow was the major seat of administration for the Nawabs and this can easily be seen right from their cuisines to mannerism and from architecture to language. The era of Nawabs was known for offering a flourishing ground for literature, dance, music and several other art forms. Still today, you can find either of these present in a prominent way and enjoy through various concerts and exhibitions. The hawelis might have turned into apartments or the stellar art might have simmer down, but not many know that Lucknow will always be the birthplace of sitar, tabla, Kathak and that very warm adab (mannerism). Speaking of the famous tourists destinations to explore in the city, Bara Imambara and Bhool Bhulaiya are the frontrunners to bring heavy tourists footfall in the city. While the former is a mammoth sized tomb of the shahi (royal) Imam (high priest) of Awadh, the latter is a complex maze which served as a piece of entertainment. The ruins of Lucknow Residency is also home to the famous sepoy mutiny of 1857, also known as the first war of Independence, led by a soldier in the British army, Mangal Pandey. You can browse through the remnants of the war at the 1857 Memorial Museum, where the compound also serves as a breezy shelter away from the noise of the city. If you’re looking for more of greener pastures, the Lucknow Zoo, Botanical Garden and Buddha Park, Sikander Bagh, and Kukrail Forest Reserve are other brilliant spots to relax in this bustling city. To examine the Awadhi architectural mastery, there are some impressive monuments like the Kaiserbagh Palace, Shah Najaf Imambara, Rumi Darwaza, Begum Hazrat Mahal Park, and Taluqdar Hall. A visit to the famous Jama Masjid has to be in your itinerary, built in the 15th century by Sultan Ahmed Shah, this massive mosque is made entirely of yellow sandstone, and with its intricate design and architecture is considered to one of the beautiful mosques in the nation. Other tourists attraction in the city includes, Dahas lake, which is known for its scenic view and a great camping site. So if you’re planning a trip to this famous city, don’t forget to make proper travel arrangements before hand. Being the most populous state in the country, getting a desired travel and accommodation facility could be hectic. Several leading air carriers like Go Air Airlines, Indigo, Spicejet etc., offers regular flights to the city. And, while you’re travelling to Lucknow, don’t forget to dig into some legendary Mughlai delicacies such as tikkas and kebabs.